Larus cachinnans 2CY P340 January 30 2014, Barneveld, The Netherlands. Picture: Herman Bouman. 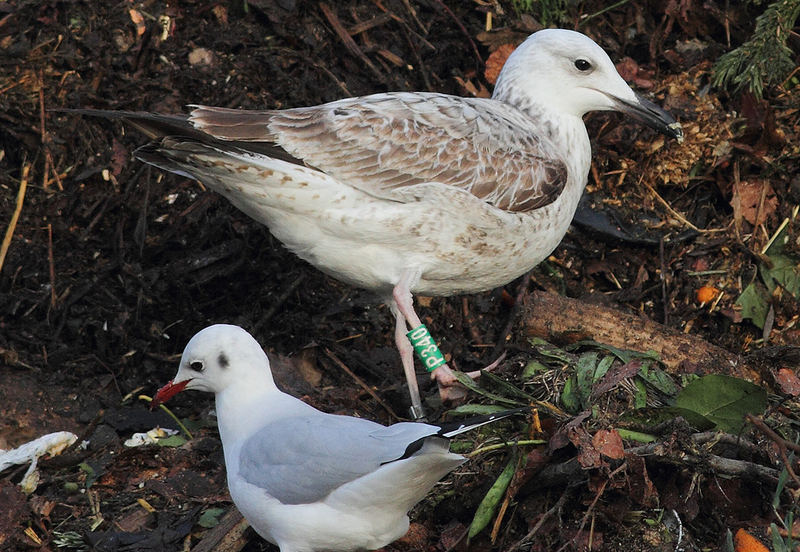 No data yet, but probably Green P340 and metal (PLG) DN22405, ringed as pullus on May 24 2013 at Kozielno Paczkow Opolskie Poland (50°28'35" N, 16°58'54" E). 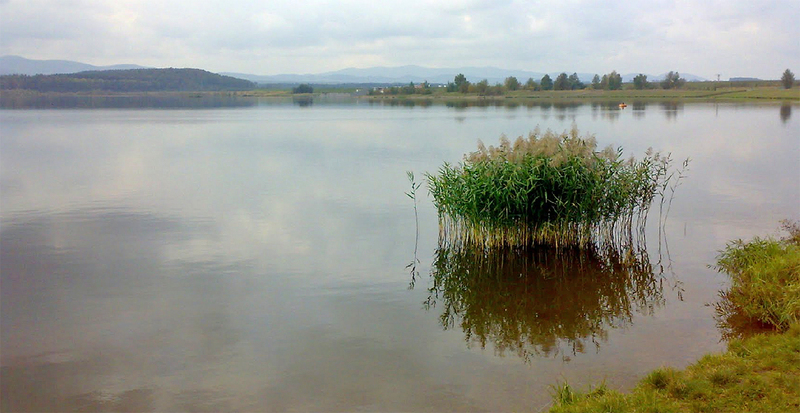 This is a mixed breeding colony in Poland, with most birds breeding here cachinnans, but in this area also records of very few michahellis are possible (see PDF). P340 obviously classic cachinnans. 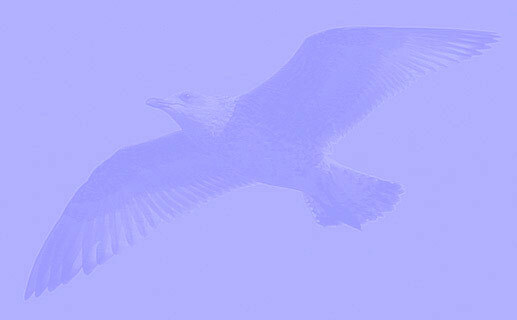 Scaps replaced, single covert replaced as well, most coverts and tertials still juvenile. 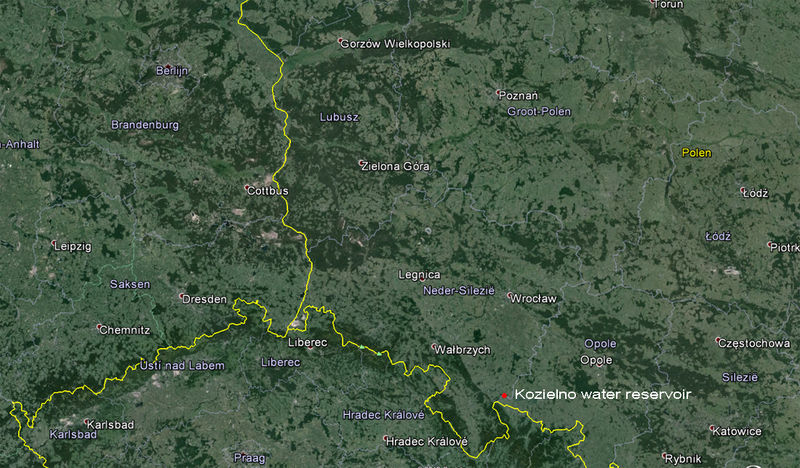 below: location Kozielno water reservoirs, ringing location.